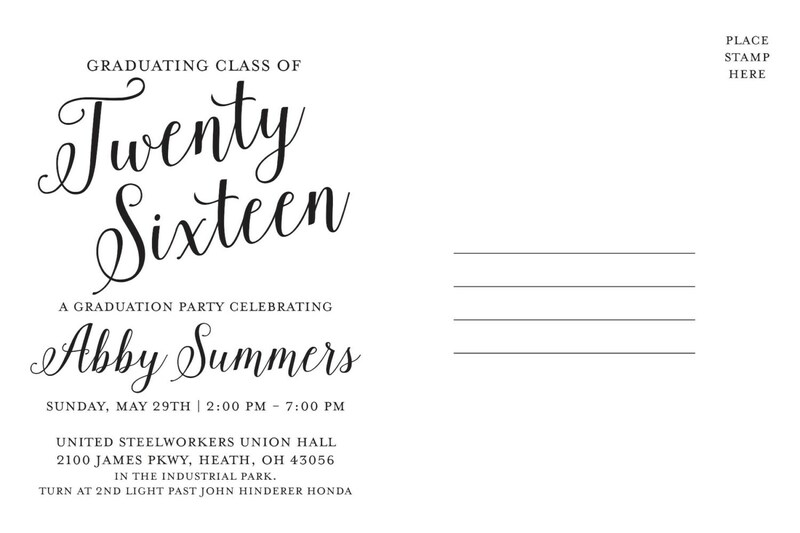 What better way to announce your child's success then with a graduation announcement. Use your favorite picture on the front of this card and the back is printed as a postcard so you can save on shipping. 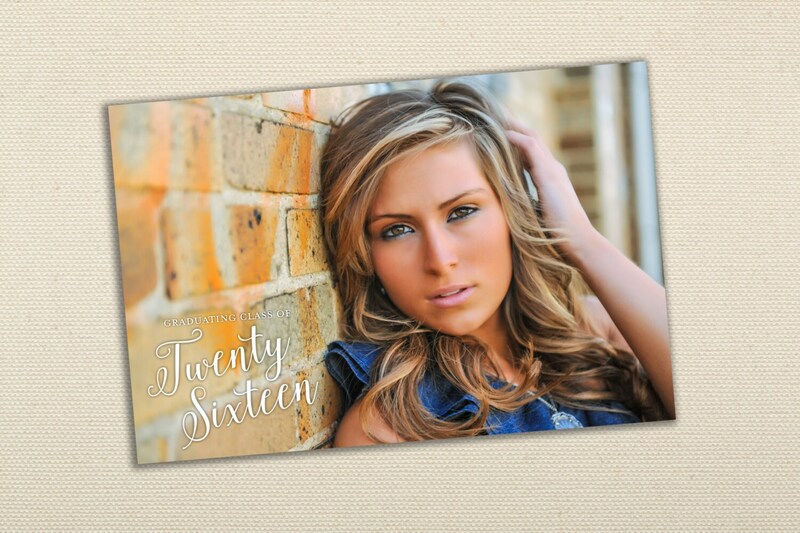 All announcements are printed on a premium 100 pound card stock and are customizable. 2. PROOFING - Upon receiving your order confirmation and complete birth announcement details, we will email you a link to the first proof version for your review and comment, normally within 1 business day! If you need any changes, We will make it UNTIL YOU'RE HAPPY with them. This is my second order from this store, and they always do a fantastic job! !